Ive knocked 2 down so far this season. Forresters hard maple shafts and obsidian points i knapped myself. all sinew and pine pitch bound. water proofed the sinew with a little titebond III. 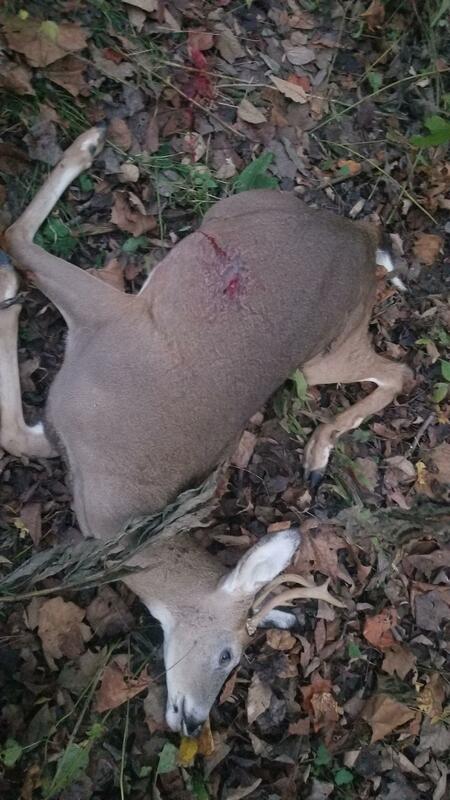 One deer i used my homemade hickory longbow. the other was with my brackenbury shadow. Ive knocked 2 down so far this season. Forresters hard maple shafts and obsidian points i knapped myself. all sinew and pine pitch bound. water proofed the sinew with a little titebond III. One deer i used my homemade hickory longbow. Truly trad....i'm liken that!! EXCELLENT! Yer takin things to a new level there! Impressive! Self made points. Not to mention a nice deer too! Congrats on the gear & deer! "As primitive as it gets"